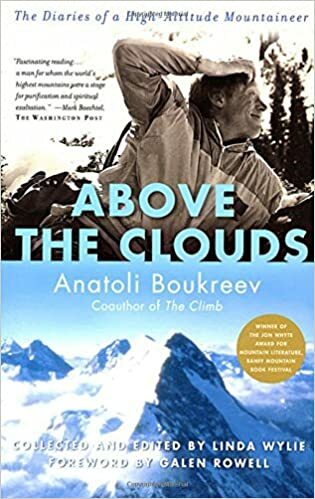 When Anatoli Boukreev died on the slopes of Annapurna on Christmas day, 1997, the world lost one of the greatest adventurers of our time. In Above the Clouds, both the man and his incredible climbs on Mt. McKinley, K2, Makalu, Manaslu, and Everest-including his diary entries on the infamous 1996 disaster, written shortly after his return-are immortalized. There also are minute technical details about the skill of mountain climbing, as well as personal reflections on what life means to someone who risks it every day. Fully illustrated with gorgeous color photos, Above the Clouds is a unique and breathtaking look at the world from its most remote peaks.